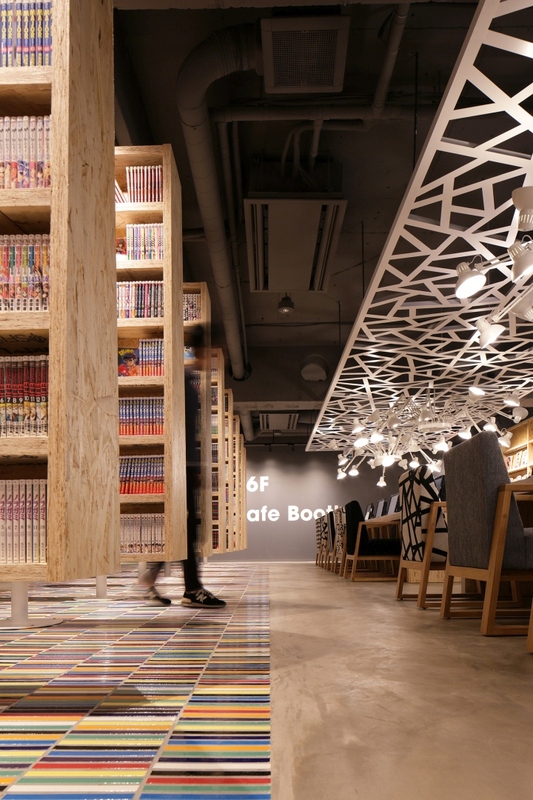 The new style Internet / Manga cafe has been set up in Shinjuku area in Tokyo. 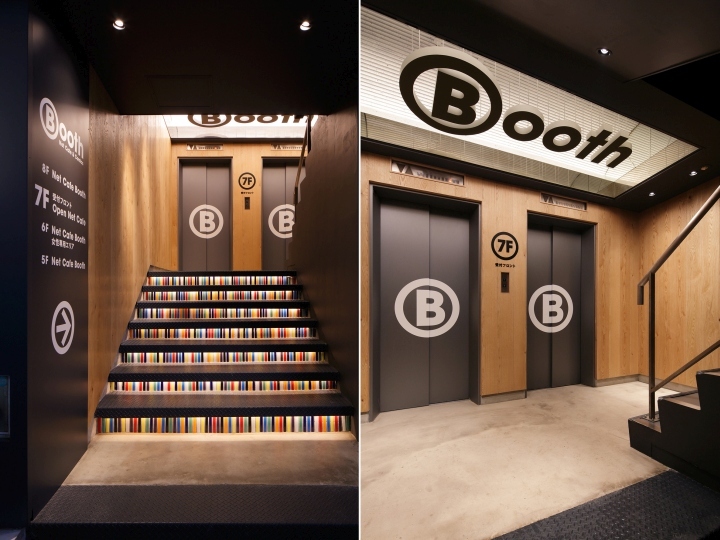 The store name is “Booth”. 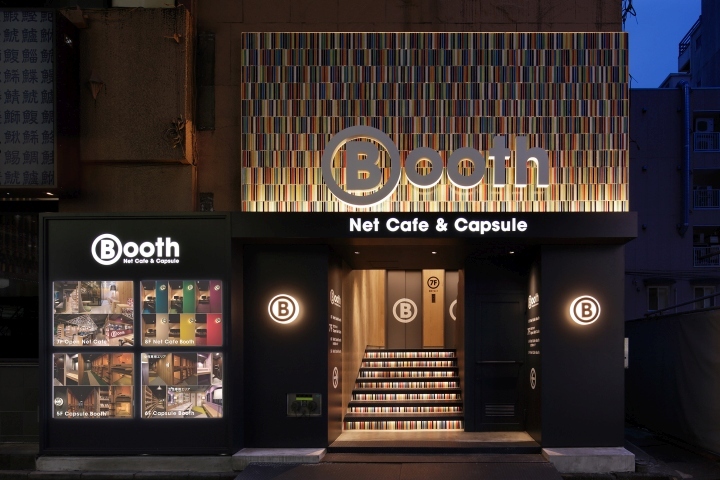 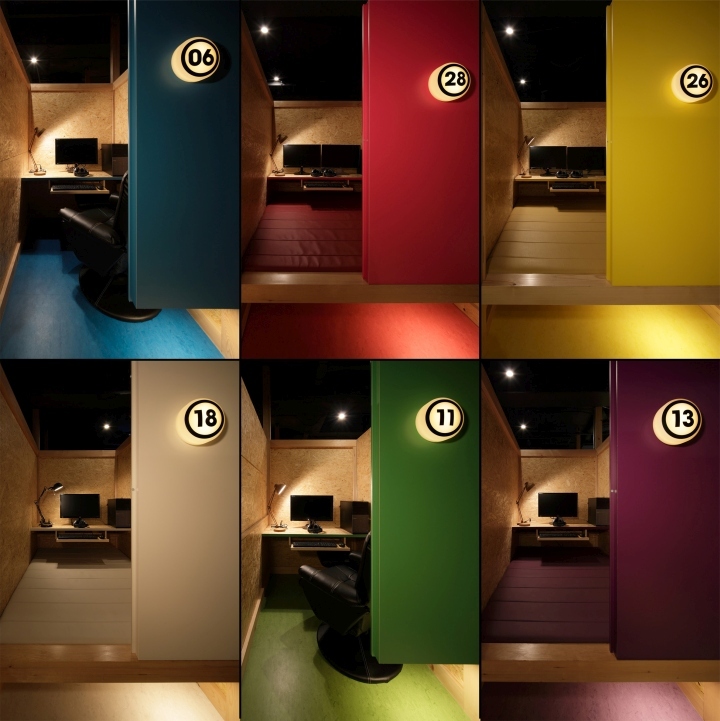 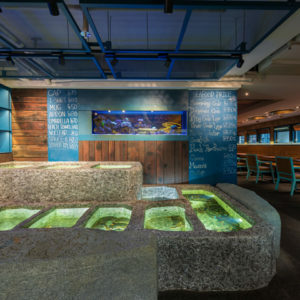 The facility had been used as “capsule hotel” before, and now it has been restructured into three new spaces, “open cafe booth”, “net cafe booth” and “capsule booth” using a keyword of “booth”. 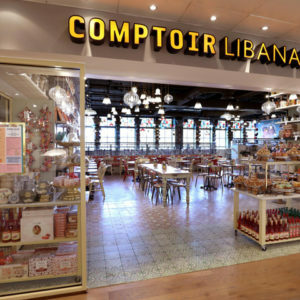 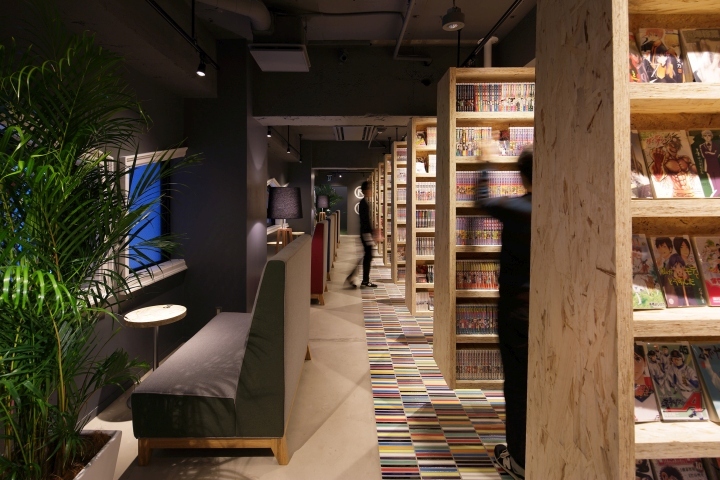 Not only having a variety of comics and magazines and the high spec PCs, it also serves guests as a decent accommodation facility with clean shower rooms and powder rooms. 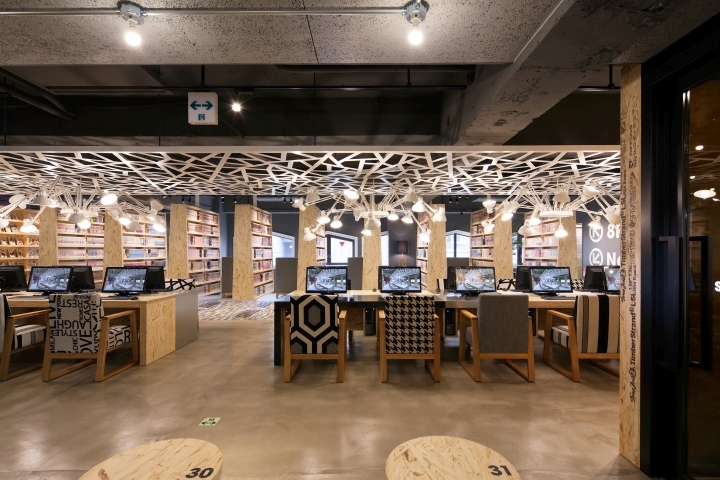 It dispels unhealthy image of internet cafe. 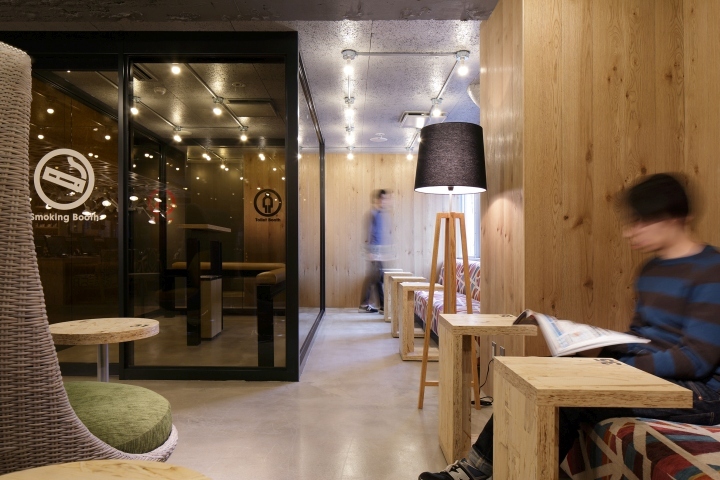 The main theme of interior is a cozy cafe adding play feeling and impact of amusement park. 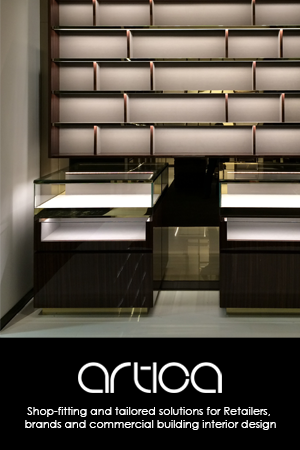 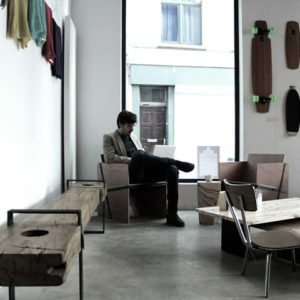 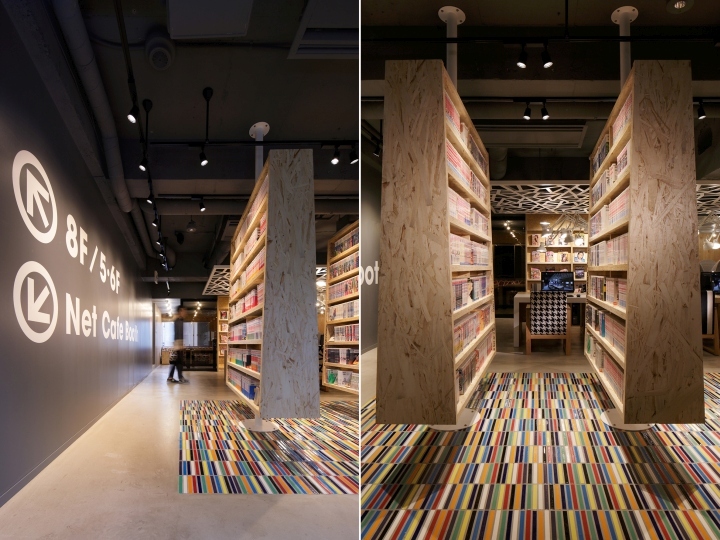 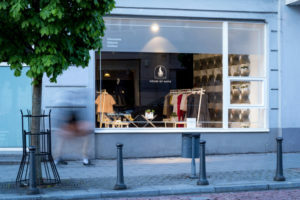 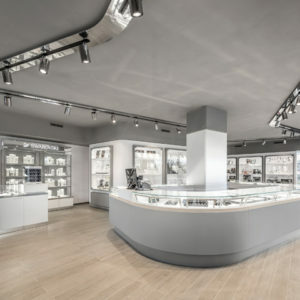 The store succeeds in producing stylish spaces with colors and graphics in the rugged design. 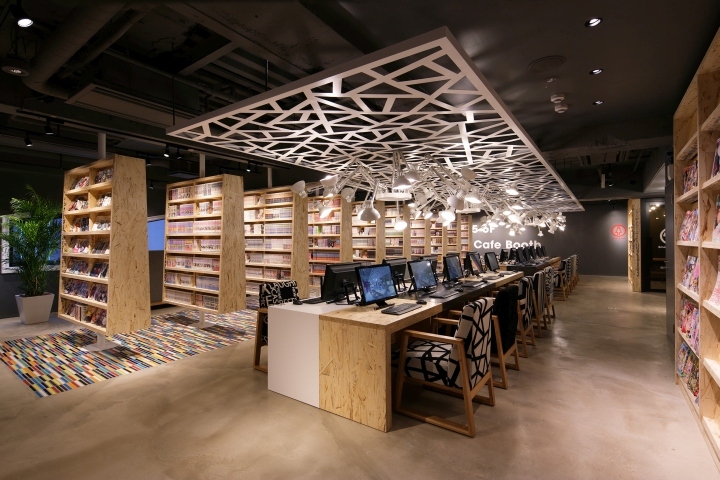 In the space of the steel skeleton, it is furnished with iconic LSL bookshelves, the net pattern ceiling reminding the image of network, and the vividly colored tiled floors with an image of comics. 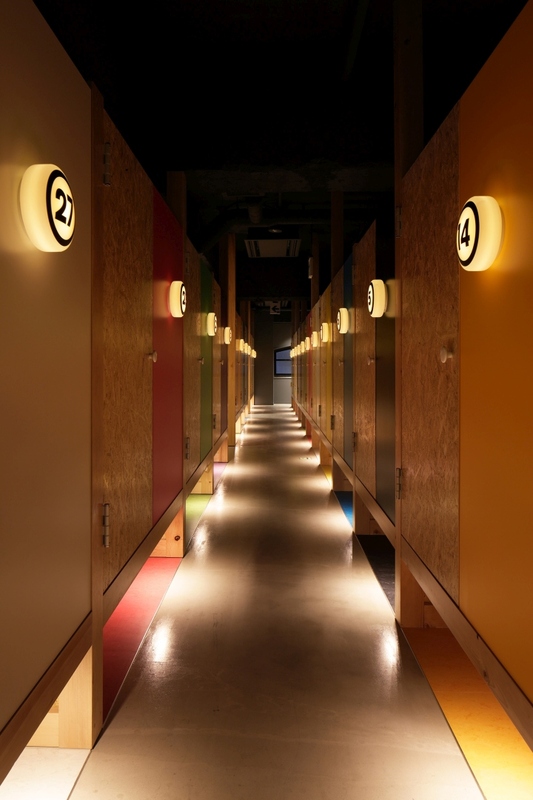 This facility has been born in the demand of the time, and it has now created another style of Japan unique. 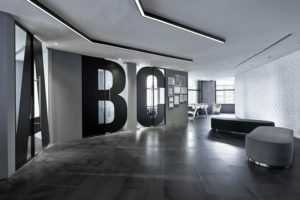 Photography:　Nacasa and Partners Inc.